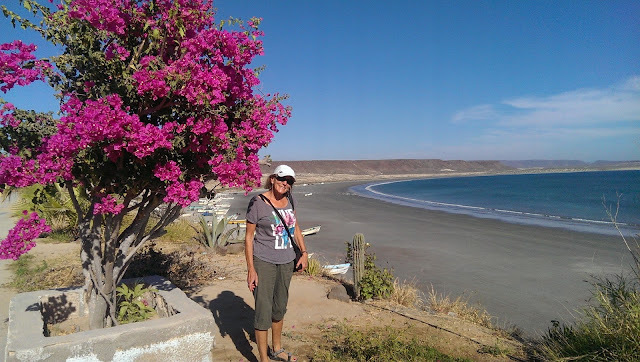 Our trailer parked in Los Barriles, BCS. on sloping ground. How important is it to have your RV level? This really comes down to your comfort level. If it is just for one night, and you are on the road the next morning, well you can probably sleep through a tilted unit. 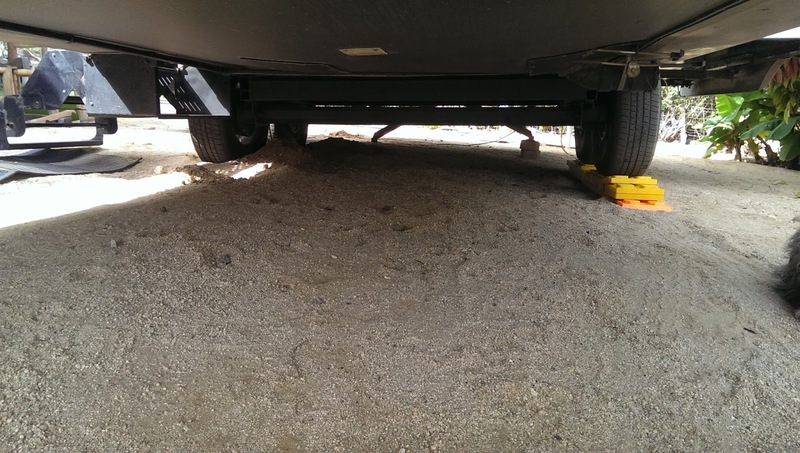 For some RV owners leveling the unit is not an issue. Their coaches are self leveling and have all kinds of fancy controls. 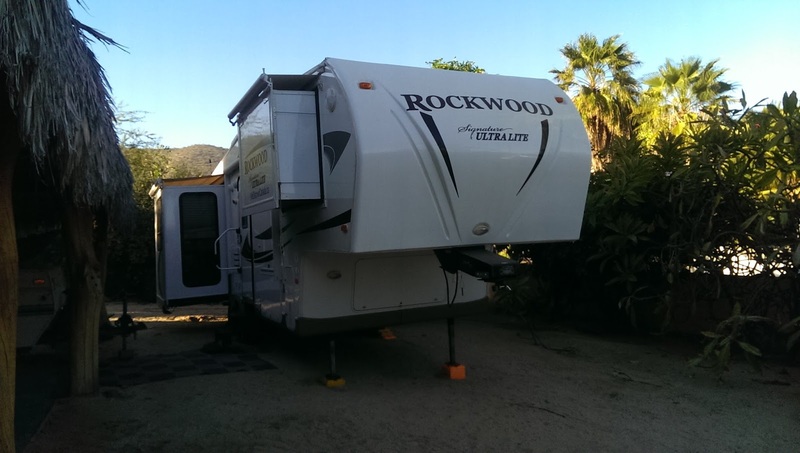 RV set up on strong sloping grade. View from the back of the trailer. RV set up on sloping grade. For those of us who have a trailer of some kind, leveling is a whole different kettle of fish. 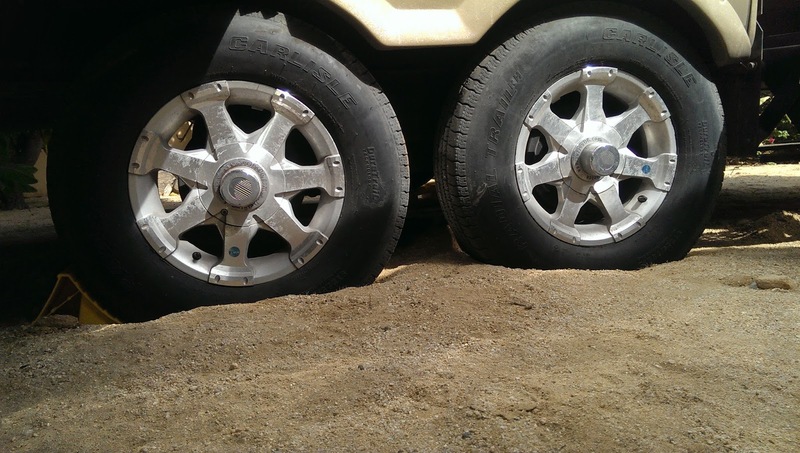 If you campsite is a cement pad then most of the time you only have to worry about front and back leveling. This is easy to do with your landing gear on a fifth wheel trailer, or the tongue jack and the smaller jacks on a travel trailer. 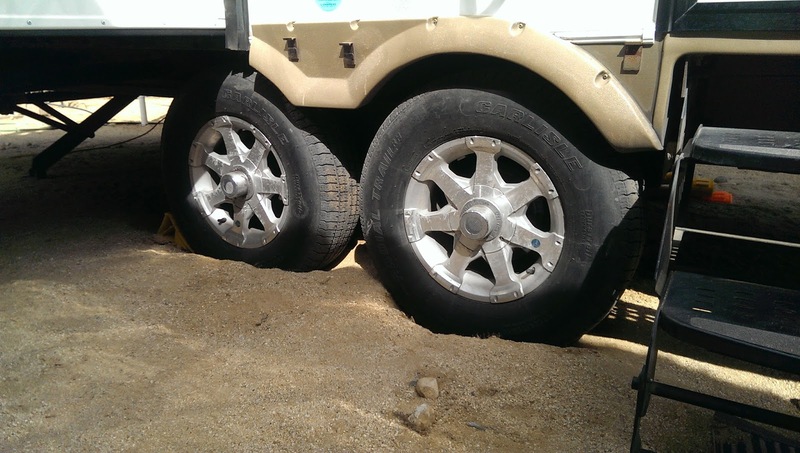 When you camp on the beach or a camp ground with gravel, dirt or sand surface, most of the time you will have to level from right to left (or passenger to driver side) or left to right. I assume you have a small level attached or glued on somewhere where it is easy to see. We installed one just inside the door where it can be easily seen from the outside (with the door open) without having to walk into your unit (I'm thinking if it is raining and muddy). Now consider this if you are two inches high on the driver side of the trailer, most of us put these plastic leveling pads out and back up the trailer on them. Now this is fine and fast and easy. Digging out small holes for the high side of the trailer makes is very solid. 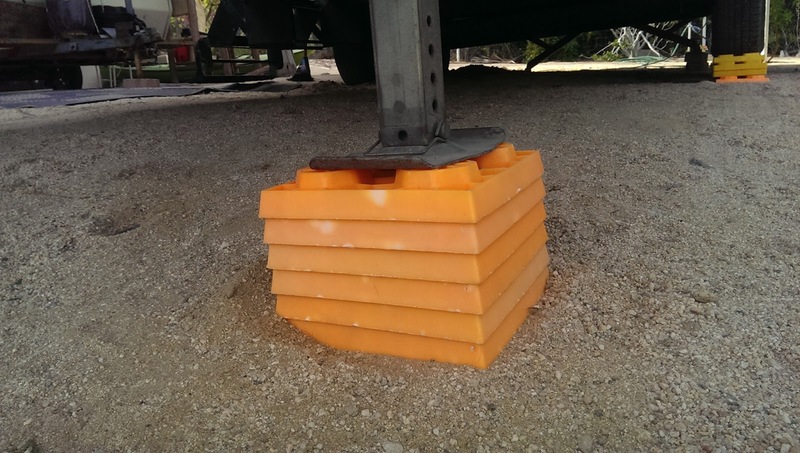 Use leveling blocks to shorten the landing gears and jacks when possible. However if you are going to stay in the same place for any length of time, you may want to consider digging or removing some of the sand/gravel/dirt with a shovel and lower the high side. Well, first of all, the lower the trailer sits the less rocking or movement you will get. We actually dig out holes for the wheels to go into when boon-docking or camping in areas with softer ground surfaces. We have a tandem axle on our trailer. It is surprising how much more solid the trailer feels when you dig two holes for the tires to fit into. 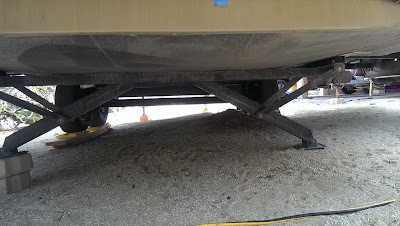 When you back up the trailer on 2-3 inches of plastic leveling pads or 2 x 8 boards, you raise the center of gravity, and you get a lot more rocking and movement of the trailer. With a 5th wheel trailer the front jacks or landing gear will also add to the rocking. 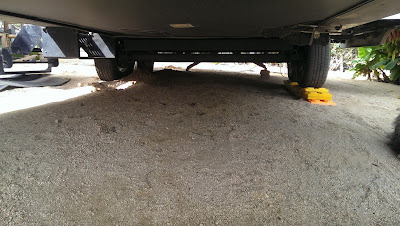 Here is where a good leveling block comes in handy. You can make one yourself or purchase a set from your local RV store. The shorter you can keep your front jacks or landing gear the less rocking you will have.